Summer 2019 – WIN registration is available from March 18 – May 31. PINs are not required. Beginning June 1 all summer schedule changes must be processed through the Graduate School office. 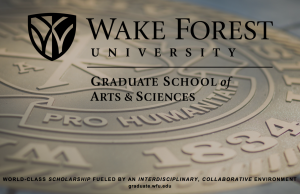 Students receiving a Graduate Assistantship, Research Assistantship, or Teaching Assistantship are required to register for a minimum of 9 graduate hours by August 23. ***Failure to register by the deadline may result in a delay in receiving the first stipend payment***. All students MUST have a PIN to access registration through WIN. ONLY your program director can issue a PIN; the Graduate School Office staff cannot issue PIN’s. Once you have your PIN follow the steps below to register for classes. Click on Check Your Holds & Registration Status. Holds must be cleared prior to Registration in order to register for classes. Offices such as Finance & Accounting, ZSR, etc. will NOT be available to remove holds after 4 p.m. The Graduate School Office staff cannot remove a hold placed by another office. Enter the Course Reference Number (CRN)for the course or courses you want to add on the Add Classes Worksheet. For detailed instructions and helpful videos on the registration process, see our Registration How-To page. If you receive a registration error or have other registration related questions, refer to Registration Errors and Frequently Asked Questions page. Click above to read our Graduate School brochure (PDF).